Bio4Expo is a project that supports the sustainability of Expo Milano 2015, in keeping with the choices made by the city of Milan. The website showcases the very best Italian bio-plastic foodservice products and offers a dedicated service for the exhibitors of Expo Milano 2015. Unlike hydrocarbon-based plastics, bio-plastics are made from biopolymers and are biodegradable and compostable. They can be disposed of with wet waste and industrially composted into fertile humus. 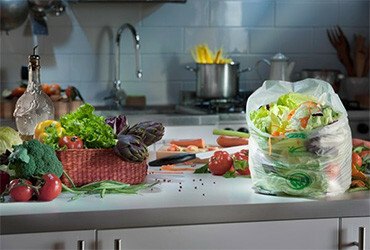 Made of renewable materials, bio-plastics are the sustainable alternative to traditional plastics. 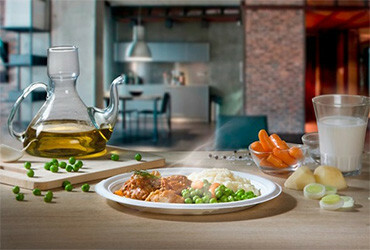 At Bio4Expo.com, the exhibitors of Expo Milano 2015 will find a full range of EN 13432-certified foodservice products: cutlery, coffee-spoons and coffee cups, cups for hot and cold drinks, ice-cream cups and spoons, single serving finger food, plates and bowls, wrapping paper, and bread and sandwich bags. With just a click, one can place an order online from all the best products on the website and have them delivered direct to the one’s booth. But Bio4Expo means information and communication too: the website contains extensive information about bio-plastics, separate collection, applicable regulations, composting cycles, Italian chemistry, circular economy, and is the place no media or professional can do without.